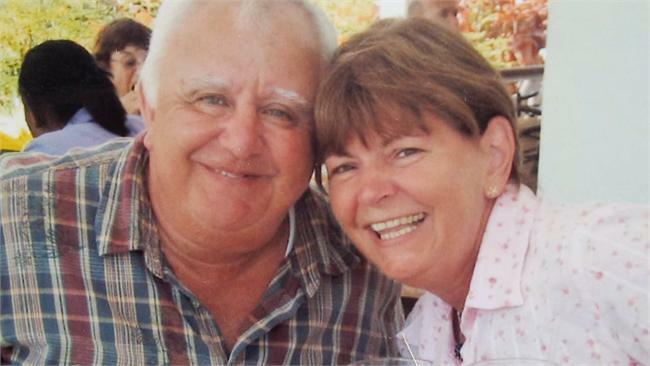 Robert Blasetti, 67, was reportedly with his wife, Irene, who desperately tried to revive him by administering CPR. A civilian NYPD worker also died at the parade. 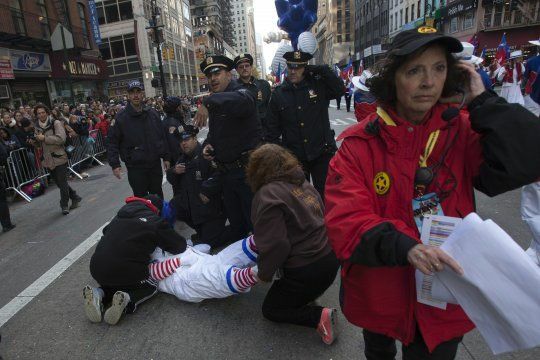 A 67-year-old man dressed as a clown went into cardiac arrest and died in front of throngs of horrified spectators at the Macy’s Thanksgiving Day Parade Thursday, the New York Post reported. Robert Blasetti, 67, was reportedly with his wife, Irene, who desperately tried to revive him by administering CPR, the paper reported. The tragedy happened as the couple were making balloon animals at Sixth Avenue and West 39th St. in Manhattan. “All of a sudden he collapsed and fell on his back. People came to him right away. It didn’t look like he was breathing. People started pumping his chest,’’ witness Tuvia Yamnik told the Post. There were conflicting reports about how long it took an ambulance to get through the clogged streets to Blasetti. Meanwhile, a civilian NYPD worker also suffered a fatal heart attack at the parade, according to the Post. Charles Sutton, 58, collapsed as he hooked up a car to be towed off the parade route at West 57th Street and Sixth Avenue. He and Blasetti were both pronounced dead at Roosevelt Hospital. Macy's... Gacy... clown... death... there's a joke in there somewhere. I feel bad for any children who witnessed it. They'll be traumatized! You know a lot of people with clown phobias have got to be smiling right now though. I know a few people like that, too. I think you're right. Speaking of John Gacy, I have to correct my response in a post about him not wearing clown makeup while attacking his victims. It was in the thread about the clown who attacked children and was recently charged. I saw an interview with his sister, Carol, if memory serves, and she said he did put on some kind of hideous clown makeup for the attacks. I was under the impression he took advantage of a situation when it presented itself, which was the way any bios about him portrayed the situations. "Killer Klowns From Outer Space", does come to mind.